These were all things said to me and Emily before our trip to Rio. I am happy to report that we were neither robbed nor kidnapped, and I took a dip in the water and received no chemical burns nor did I see or smell any poop. Rio has received a bad rap of late, and it is incredibly undeserved. The media hype surrounding the Rio 2016 Olympics revolved mainly around just how terrible Rio is. As usual, the media reports could not have been further from the truth. I loved Rio. It’s a lively city, nestled in some of the most breathtaking scenery I’ve ever experienced. So, what did we do in Rio? 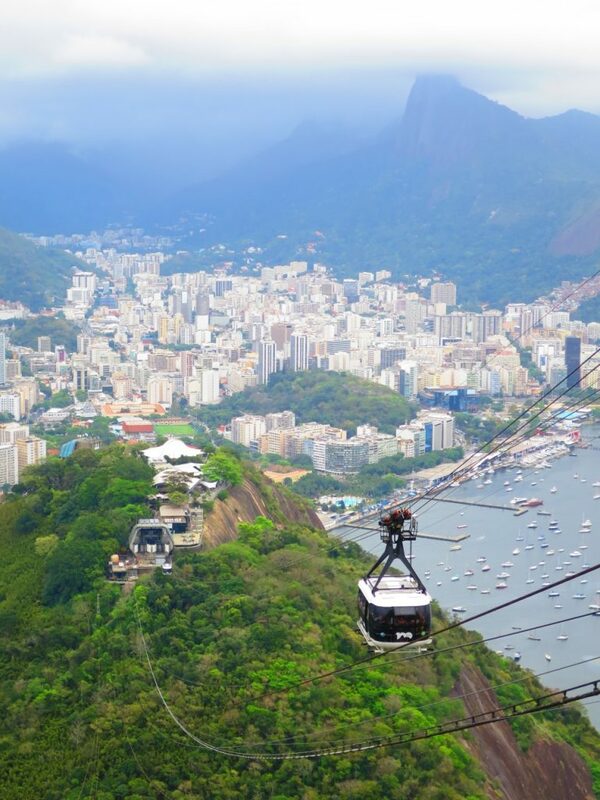 Rio is known for its annual “Carnival” festivities, Christ the Redeemer, Sugar Loaf Mountain, the world famous Copacabana and Ipanema beaches, the largest soccer stadium on the continent (arguably), the 2016 Summer Olympics, and its large slums- known as favellas. While we were not in Rio for Carnival, and we missed the Olympics by a matter of days, we did see almost everything else on that list. To see most of these sights, we booked a tour through the city’s tourist office. We spent a full day from 8AM to 6PM being whisked around the city by our charming guide, Ulysses. Our group consisted of Brazilians, Argentinians, Colombians, and of course, us, the two Americans. Ulysses is a polyglot who effortlessly switched between Portuguese, Spanish, and English when explaining the sights, and after learning I speak German, he tacked on explanations in German as well. His charm and amazing language abilities made for an excellent day. The cable cars transporting us up the mountain provided sweeping views of the city and were a quick way to get up top. After Sugarloaf, we headed to the Maracanã Stadium, which hosted the 1950 Fifa World Cup, with an estimated 200,000 people in attendance. We were unable to go inside, but just seeing how big this stadium is from the outside was impressive. 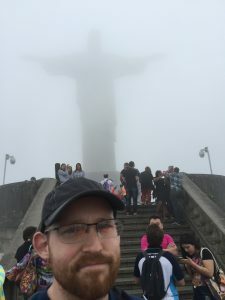 We made two other brief stops, one at the Rio Metropolitan Cathedral, and another at the Selaron Steps. You can see how excited I was to see Silhouette Jesus in the clouds. Eventually, the clouds did break, and we were able to see the statue in all its glory, as well as peer down at the sprawling city below us. There’s no way around it, Rio is gorgeous. 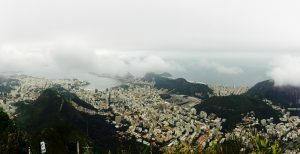 The view from Christ the Redeemer once the clouds broke. After our long tour we retired for the evening and geared up to visit the beaches the next day. Since we just missed the Olympics, and we’re just starting spring down here in the Southern Hemisphere, the beaches weren’t absolutely packed with people. We had a really nice day, eating street popcorn and açai with bananas and granola and honey. I ate more açai than actual food a few days in Brazil. 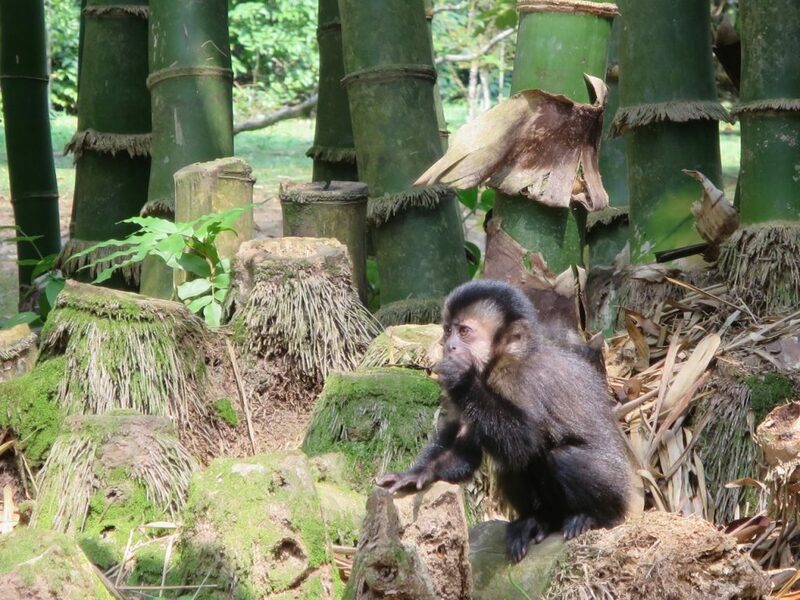 We also popped over to the Botanical Gardens and came across a roaming band of monkeys. While adorable, I did witness a group of monkeys attempt to rob a toddler of his ice cream. There’s a small cafeteria area in the park where the monkeys were hanging around. A toddler had just been given a large cone of ice cream and was walking ahead of his parents out of the cafeteria area. One monkey made a beeline straight for the toddler, while two others split off and came at him from either flank. Pro tip: when creatures “fan out” and approach you from more than one direction, that’s predatory behavior. The toddler’s mother stepped in-between the first monkey and the toddler just before the monkey got his hands on his prize. Toddler’s father swooped up his kin and rapidly moved away from the other two monkeys, though they weren’t far behind, chasing him for maybe 10 yards before deciding the juice wasn’t worth the squeeze. Having checked off most of the major sights, we had a long conversation about visiting a favella. We met some fellow travelers who visited one sans-guide and said it was just fine and not dangerous. We met some other travelers that took a guide and thought going solo was madness. After much discussion, we decided not to go at all. In an abundance of caution, we decided going without a guide might not be safe. I’m fairly risk averse and I simply don’t know how dangerous (or not) the favellas are. On the other hand, the thought of taking a guide through the area left a sour taste in my mouth. These people aren’t animals and their homes aren’t a zoo for foreigners to pay to visit. The concept of guided tours seems demeaning and I don’t want to take part in it. That said, there are guided tours, led by locals, where the money apparently goes into the community. Emily found one, and we would have more seriously considered taking it, had we not run out of time in Rio. All in all, I quite enjoyed Rio. When we landed, we were both quite nervous about visiting, solely because of the unfair, untrue, and negative media attention surrounding the city. Rio is a big city. Big cities have problems with crime. Big cities have parts that tourists shouldn’t visit, or that tourists shouldn’t visit at night. Rio is no different. Tourists in Rio shouldn’t flash cash, or wear expensive jewelry, or walk around with hundreds of dollars in their pockets. Tourists shouldn’t do these things anywhere else in the world either. The only reason I felt unsafe in Rio was because I was primed to feel unsafe by unjustified media stories. The atmosphere, the food, and the sights were all well worth the visit. Brazil is an underrated gem that I am looking forward to visiting again. 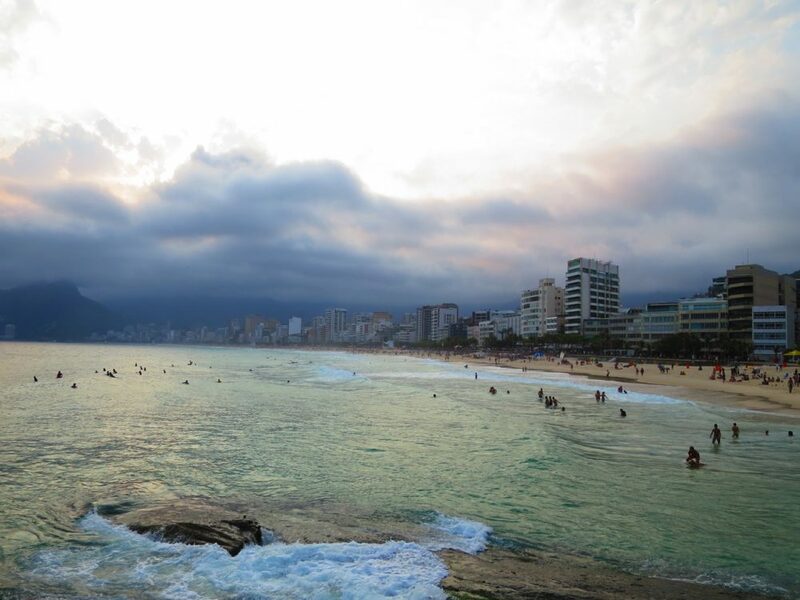 Bookmark this article Rio de Janeiro- Dangerous, or Delightful? Bravo! 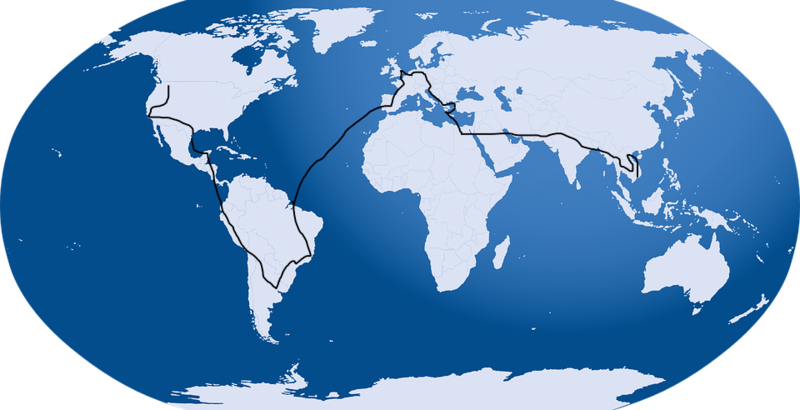 So fun to read about your trip!